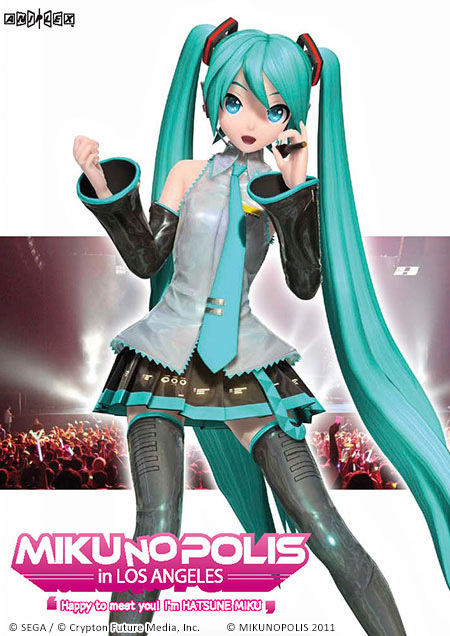 On July 2nd, 2011, the internationally known Vocaloid Hatsune Miku performed at the Nokia Theatre in downtown Los Angeles. 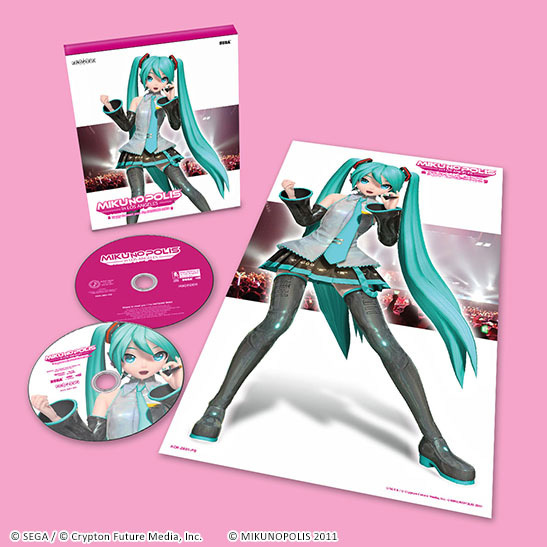 This marks her very first concert here in the U.S. With 3D imaging created by SEGA and supervised by Crypton Future Media, the LA show was jam packed with songs and dance numbers by Hatsune Miku and the whole vocaloid team! Featuring the Los Angeles concert in its entirety, this Blu-Ray is contains live performances, your favorite songs from your favorite Vocaloids and more! ※ Keeping creators' intentions in mind, MEDLEY (Tracks 08-11) doesn't contain subtitles. Total Run Timeapprox. 98 min. 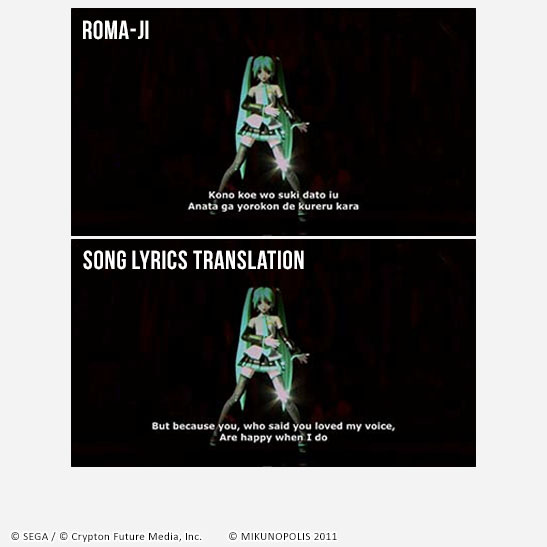 © SEGA / © Crypton Future Media, Inc.